The Lady Hoofers are proud to present The Tapcracker, a full length, all tap version of the classic holiday favorite. Set to the music of both Tchaikovsky and Duke Ellington, The Tapcracker will transport audiences to Paris, where an infestation of rats has thrown the city into chaos. Toy soldiers guard the Eiffel Tower, mice wreak havoc in the Metro, and frazzled chefs prepare for a feast at the magical palace of Versailles, featuring characters from the beloved Land of the Sweets. The Tapcracker will feature The Lady Hoofers First Company, Apprentice Dancers, and 2018 Youth Ensemble, comprised of talented students from Pennsylvania, New Jersey, and Delaware. 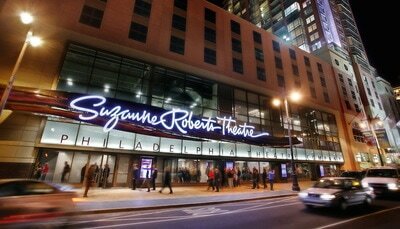 Last year's performances at the Suzanne Roberts Theater on Philadelphia’s Avenue of the Arts sold out nearly a month in advance, so don't wait to get your tickets! The lobby will open one hour prior to the start of the show and we will have a variety of snacks and refreshments available for purchase, including a make-your-own hot chocolate bar for kids! Be sure to stop by our pop up boutique for Tapcracker merchandise as well, including commemorative Nutcracker dolls and ornaments, t-shirts, Paris-themed gift boxes, tap shoe bags, and more. All proceeds support The Lady Hoofers. *Please do not call the theatre with questions regarding tickets, as they do not manage our box office. Email info@ladyhoofers.org and please be patient with our delayed replies during show week. All tickets purchased will be delivered via email by Ticketleap immediately after purchase. 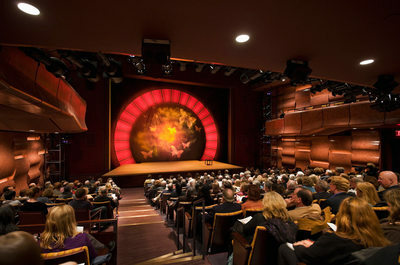 You may print your tickets or access them on your mobile device at the theatre. For group ticket orders, please contact your group leader. The Lady Hoofers are pleased to host a VIP Reception from 5:30-6:30pm prior to the evening performance of The Tapcracker. Admittance to the VIP Reception includes complimentary wine and refreshments. Guests will have the opportunity to mingle with company directors and choreographers, learn more about our programming, and relax in the second story lounge of the Suzanne Roberts Theatre. Please note: due to policy changes at the Suzanne Roberts Theatre, alcoholic beverages will not be available for purchase outside of the VIP Reception. Secure your admission to the VIP Reception during the checkout process when you purchase your tickets online. Already purchased tickets but wish to add on the VIP Reception now? No problem! After last year’s sell-out production, The Lady Hoofers Tap Ensemble is proud to present The Tapcracker for the second year running. The full-length, all tap version of the classic holiday favorite is set for Saturday, December 8 at the Suzanne Roberts Theatre with shows at 2:00 and 7:00pm. The 90-minute, family-friendly concert will feature a talented cast of over 35 dancers from the ensemble’s First Company, Apprentice Company, and Youth Ensemble.